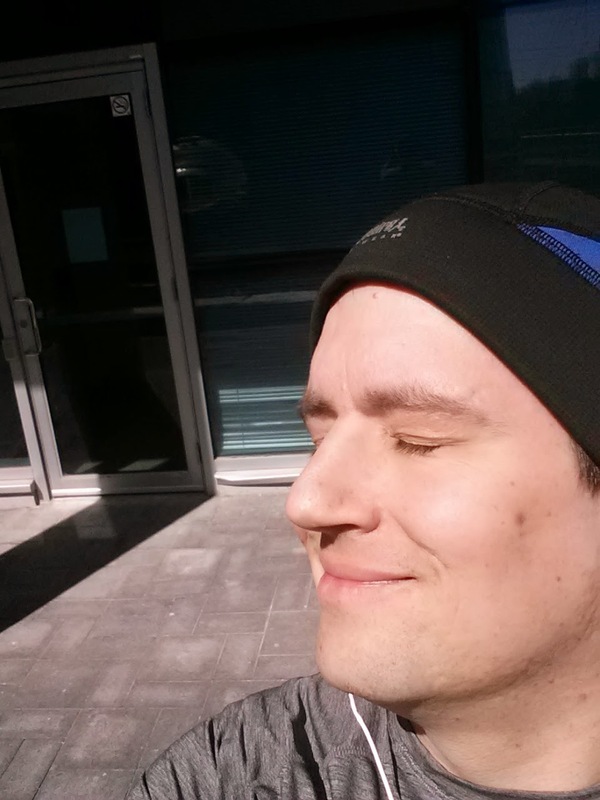 On the last day of March, the sun came out, and it was time for an outdoor run. I was so happy to get some sunlight on my face, and simply the ability to get out without a scarf or mask meant the run I was going to embark on could do no wrong. A U2 Fave - awesome tempo. I have tons of STP on my phone. At least one of their songs was bound to come up. 80s! An urgent beat to keep me going. One of their best tracks. It’s baffling that this wasn't one of their big radio singles. Bonus: the quieter parts seemed to line up with when I had to negotiate ice/puddles and the chorus would come in just as I could go fast again. Perfect. Well, I don’t want to finish last... Bonus: The guitar solo came in right at the bottom of the biggest final hill, causing me to charge up at 100% effort. I love it when that happens! “Fight off the lethargy...” the hill is done, and the run is nearly over. A good rhythm for plodding to the end. Heh. Well, I was heading straight back to the office a.k.a. ‘The Man’. Less on the tempo, good for cooling down. Maybe it was just the positive attitude I had that day, but it really felt like serendipity to get such perfect tracks at random. I made a point to keep track of what I'd heard (thanks to the last.fm scrobbling - tracking what tunes are played) so I could share it with you guys. Would you ever trust the shuffle gods to do your running playlist?